Why do certain easily preventable diseases persist in the modern world? 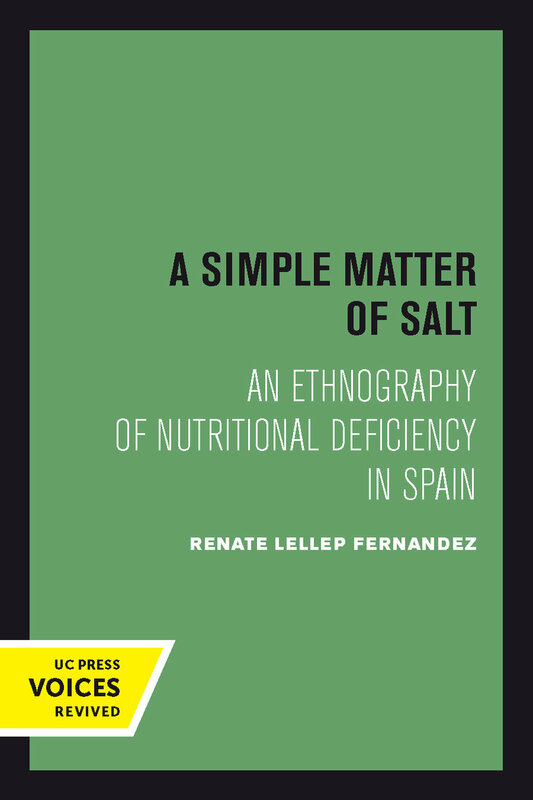 Renate Lellep Fernandez sheds light on this paradox by investigating the high incidence of iodine deficiency disease (IDD) among mountain villagers in northern Spain. Just as the mystery of non-prevention leads the author far beyond the confines of a single place, so are the experiences of these villagers rich in lessons for biocultural anthropology and public health in many contexts. The symptoms of iodine deficiency include not only the disfiguring goiters associated with the disease but also a catalog of more serious and even fatal complications. The burden of caring for victims of IDD has taxed the resources of this Spanish village beyond reason. Yet even though its people were—and are—eager for good health and quick to take advantage of modern medical treatment, which has long been available, until very recently they failed to learn that iodized salt prevents the disease. A Simple Matter of Salt unveils the social and political obstacles that have impeded the successful dissemination of preventive knowledge. Here are valuable implications for the prevention of other endemic diseases on a global scale. Renate Lellep Fernandez is a biocultural anthropologist. An independent scholar, writer, and consultant, she has published in books and professional journals both in the United Sates and abroad.